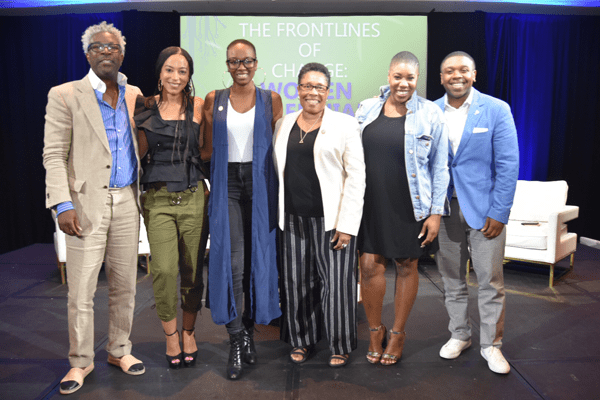 L-R Cornell Belcher, Angela Rye, Tiffany Loftin, Marcia Fudge, Symone Sanders and Antjuan Seawright. 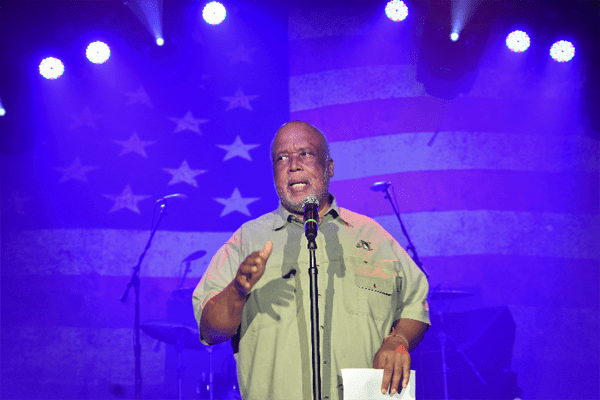 Mississippi Congressman Bennie G. Thompson, chair of the Congressional Black Caucus Political Education and Leadership Institute (CBC Institute), welcomed participants to Tunica, Mississippi August 9-12 for the Mississippi Policy conference. “While we are faced with more challenges than ever before, we also have more opportunities to do more than ever before,” said Thompson, who has served as congressman for Mississippi’s 2nd Congressional District since 1993. The primary mission of the CBC Institute, which was incorporated in 2000, is to “educate today’s voters and train tomorrow’s leaders. The institute also focuses on informing, inspiring and igniting communities on issues affecting communities and therefore chose “Inform, Inspire, Ignite!” as its’ 2018 theme. The Millennial generation is America’s largest, making up 25 percent of the total U.S. population and according to the 2010 Census is also America’s most diverse adult generation with 44 percent of minorities. With such large numbers, the panel definitely understood the power they have in shaping American politics. Symone Sanders, a CNN political commentator, said, “There is a misconception that young people are not plugged in, engaged or involved … but young Millennials are already effecting change. Look at what happened in Ferguson, Missouri where Wesley Bell, an African American, won the Democratic primary, defeating 29-year incumbent Robert McCulloch for the County Prosecuting Attorney in a stunning upset.” Sanders said it was partially due to activists and young black Millennials that this victory happened. Antjuan Seawright, founder and CEO of Blueprint Strategy, said Millennials need to figure out their whys, meaning why do they want to get involved? He said when they figure out their whys then seasoned leaders need to show them how they can become senators, congressmen and whatever role they wish to be involved in. Cornell Belcher, an award-winning pollster and NBC/MSNBC News political contributor, said Millennials need to realize their significant power. Belcher, author of “A Black Man in the White House,” said if Millennials voted at the percentage rate of Baby Boomers (69-70 percent) they could change the world of politics. Angela Rye, principal & CEO of Impact Strategies and a CNN political commentator said that in addressing the power that Millennials have she was reminded of Dr. Martin Luther King’s concept of power as addressed in his 1967 ‘Where Do We Go From Here” speech. Rye said King’s definition of power was the ability to achieve purpose. “Dr. King was a young person when he started in civil rights and people must realize it is not Millennials versus Baby Boomers, it’s us that are dying daily.” Rye told the audience they should recognize the importance of the work young people are doing daily. Each panelist agreed getting Millennials out to vote is of extreme importance but having a seat at the table, being involved and being respected is of extreme importance too. At times, the discussions were very heated but at the end of the seminar, Congresswoman Fudge was very pleased. There was a lot of audience participation from members of the Congressional Black Caucus. Other seminar topics addressed included healthcare, workforce development, education and corporate diversity. Entertainment during the conference included comedian Rita Brent and The Keeshea Pratt Band during the Thursday night opening reception; Friday night celebration featured DJ Mark Battle; and Saturday night a concert that featured The Whispers.